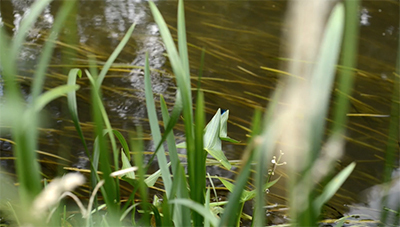 Music composition for Dragonflies in the small german town of Lübben, played in an area where many different styles of the dragonflies are living. 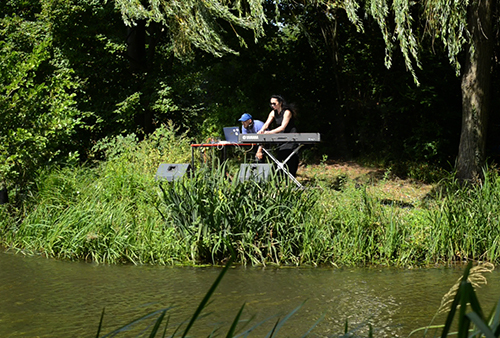 In frame of the Aquamediale Media Art -Festival in public space, Brandt was invited to perform a music for animals performance in this region. The music was composed by Marek Brandt, electronics, sounds, Fieldrecording (on site) and Simone Weissenfels who is a classic trained Piano player and also well knowned improvisational music player. 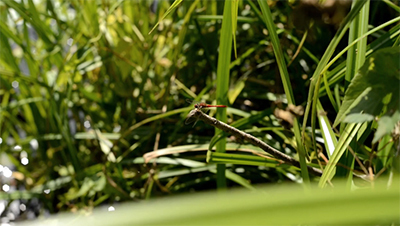 The composition was made special for dragonflies, performed on an island in the middle of some some rivers and very close to the natural living habitat. The musical performance has a very light and playful and fragil approach - that fits perfect to the dragonflies.